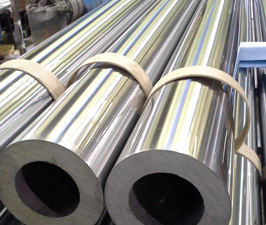 At Centerless Grinding Service, we are a leading supplier of centerless ground and polished products as well as a provider of a variety of grinding capabilities. Our centerless grinding services are ideal for precision grinding the outside diameter of any cylindrical shaped part, and we can work on materials from stainless steel to ceramics and other exotic materials. Precision machines allow us to work on standard and non-standard sizes up to 60' in length and weighing as much as 10,000 lbs., all while maintaining tolerances up to ±.0002". 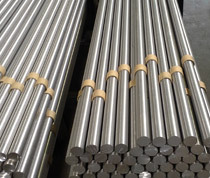 With over 40 years of experience, our seasoned staff can grind round bar and tubing in diameters from 1/8" to 16", and the finished product can be tailored to a number of specific end uses. In addition, our ability to grind hardened parts and offer surface finishes to four micro inches makes our services ideal for applications in the automotive, marine, pulp and paper, and medical industries. 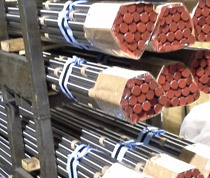 Our attention to detail and dedication to meeting customer's needs allow to us take on projects that often call for quick delivery and turnaround, as well as handle production volumes from small to large quantities. 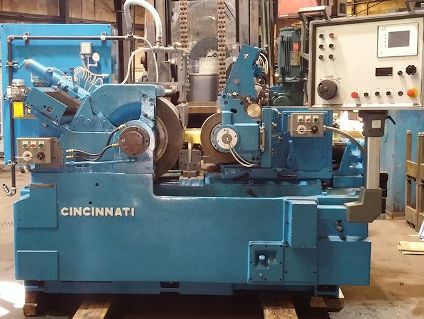 At Centerless Grinding, we perform work of the highest quality and are in full compliance with MIL-Q-9858A, MIL-I-45208A, and ISO 9001 standards. To learn more about our centerless ground and polished products, contact us or see the table below. 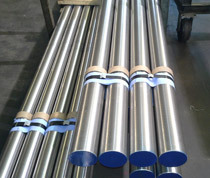 Part Diameter 1/8" to 16"
Part Length Up to 60 ft.
Part Weight Up to 10,000 lbs.